The Executive Chairman of the Lagos State Government Internal Revenue Service, LIRS, Ayo Subair, has lauded the consistent commitment to responsibly remit taxes exhibited by Paul Usoro, SAN. 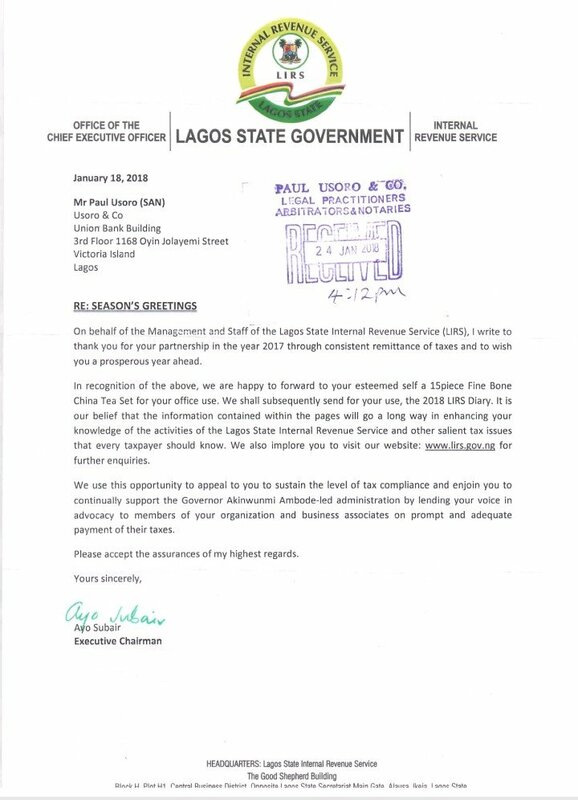 In an official letter sent to the learned silk, the LIRS Chairman hailed Mr Usoro’s actions and appreciated his continued support and ongoing partnership with the Lagos State Government. 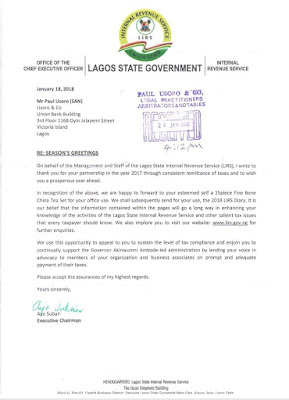 Subair further revealed that such actions were exemplary and held him up as a model for all Nigerian taxpayers to follow. 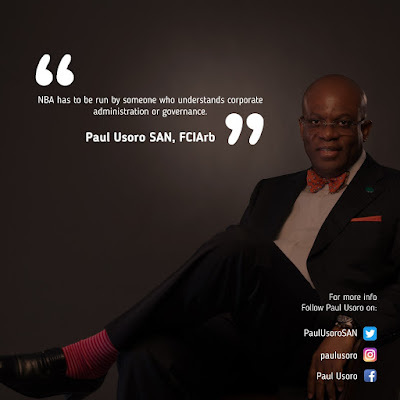 The Chairman appealed to Mr Usoro, imploring him to sustain the level of tax compliance while enjoining him to continually support the Akinwunmi Akinbode-led administration by lending a voice in advocacy to members of his firm, Paul Usoro & Company, PUC, as well as business associates on the utmost importance of prompt and adequate payment of their taxes. The LIRS Chairman concluded by assuring Mr Usoro of his highest regards while felicitating with him ahead of the rest of the year.